Having secured the national championship at the Redline Rumble double-header event in August we went to the finals with hopes of improving our PBs and going some rounds, but it was not to be. Rain all day on the Saturday meant a one-shot qualifier on the Sunday morning, but our ice tank leaked on the line, putting us out. Congrats to Kars Van Den Belt on the Funnybike class win and for running an oh-so-close 7.005 in the semi-final! That little Blackbird will be in the 6s next time! Congrats too to Steve Woollatt on a PB 6.14. 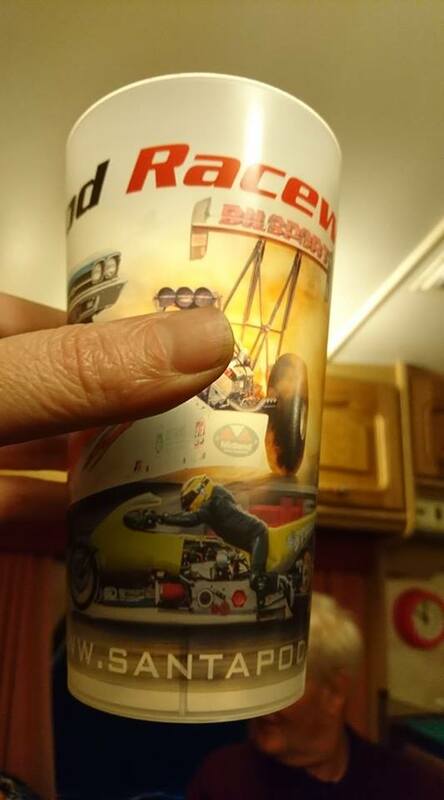 Highlight of the event for us was seeing Storm on the cups in the Santa Pod bar!